They're financially stressed, feel they don't get the support they need, and as a result, 71% are looking for another job. But research by Kronos suggests there's an easy way to both reduce that stress and make your employees feel more supported. You see, 42% of all employees say taxes and deductions on their paycheck are confusing to read and understand. 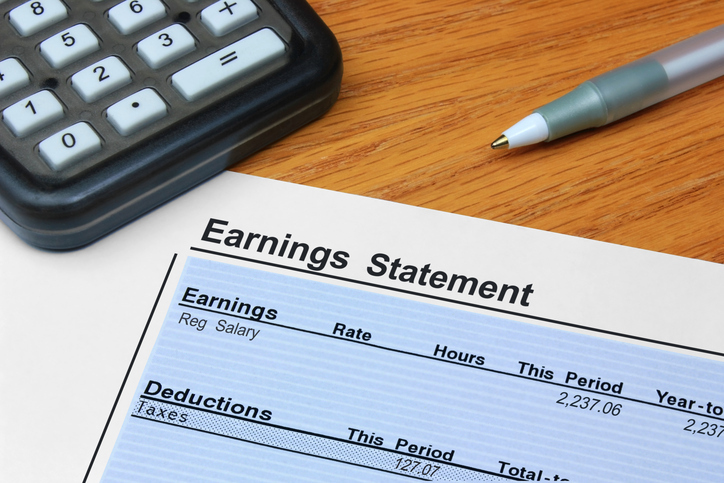 Nearly half say they'd feel more engaged with their job if their employer helped them understand the impact of taxes and deductions on their overall earnings. Clearly, for your own sake as well as your employees', you need to help employees understand their paychecks — what goes in as well as what goes out. Here's a quick guide on how to do that. Gross pay is the full amount of your salary, before deductions, withholdings, and contributions are taken out. Net pay is your take-home pay, or the amount you receive after these items are subtracted from your gross pay. That leads naturally to the next question you'll need to answer: "What are the deductions and withholdings taken from my paycheck?" New workers are often surprised to learn that money is taken out of their paycheck before they're paid. Others may understand that deductions and withholdings exist, but they don't fully understand what they are. Here's how you can explain them to your employees. Deductions and withholdings are subtracted from the gross pay before your paycheck is paid. Withholdings are amounts taken out of every employees' paycheck to pay their income taxes for that pay period. Deductions are amounts taken out for benefits and donations the employee has chosen, such as retirement, healthcare, or special funds. Most tax withholdings are determined by law. You, as employer, are required to withhold the required amounts and submit them for your employees in the required manner. Deductions are often voluntary and are determined by the worker's choice of, say, their healthcare plan or the percentage they want deducted for their retirement plan. In the US, federal and state incomes taxes are withheld from all employee paychecks. The amount withheld is determined by the number of exemptions an employee enters in their W-4 form when they're hired. Employees need to understand that the money withheld is being sent to the government on their behalf. If too much money is withheld, they'll receive a refund after filing their tax return. If they haven't paid enough, they'll need to pay the difference when they file their tax return. Also, employees may adjust their tax withholding if they feel you're taking too much or too little or if their life circumstances change (such as getting married or having a baby). NOTE: If the employee needs help calculating their potential tax burden, the Tax Foundation has a calculator that could help. Deductions include a range of benefits that the employee either pays for completely or pays a portion of. This may include their 401K contributions, insurance premiums, flexible savings accounts (FSAs), profit sharing, garnishments, and other items. Some employees may ask why they have to contribute to their insurance or retirement plans. They assumed these benefits would be paid for by you. You may need to explain that you, as employer, can access lower healthcare rates than they can as individuals. You pay for a base package that covers most employees' needs, but you give them the option of signing up for additional coverage at their own cost. That cost will be taken out of each paycheck and listed among their deductions. Similarly, even if you pay a retirement benefit, employees may opt to save more if they want to. If so, they'll see the amount they've specified among their paycheck deductions. Some tax withholdings are shared by the employee and the employer. The portion the employer pays is call a contribution because it's "contributed," or paid, by the employer for the employee's benefit. Here are a few of the contributions most US employees see on their paystub. Social Security: You match the employee's 6.2% Social Security tax, for a total of 12.4% contributed in the employee's name. Medicare: You contribute another 1.45% to the employee's Medicare tax, for a total of 2.9% contributed in the employee's name. NOTE: The total of both Social Security and Medicare is 15.3%, split 50-50 between the employer and the employee. Federal Unemployment (FUTA) Tax: This is a required benefit that's 100% employer-paid. Other: Other contributions may include state unemployment and local taxes. Taking time to explain the numbers on your employees' paystubs can help them feel more empowered and less frustrated with their take-home pay. But reading about the numbers may make their eyes glaze over. To help, make it a visual presentation. Walk them through this infographic that makes your paystub easy to explain and easy to understand.